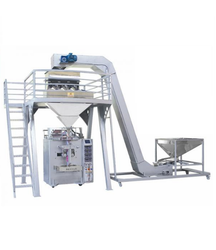 Providing you the best range of gram packing machine, 25 kg wheat grain filling machine, cube sugar packing machine, carbon black powder packaging machine, soya doc cake filling machine and material packaging machine with effective & timely delivery. 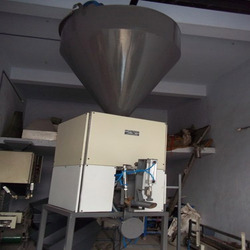 Our company is highly esteemed in offering Gram Packing Machine to the clients. This product is manufactured at widely developed manufacturing unit using supreme quality raw material and sophisticated technology under the guidance of experienced technocrats. 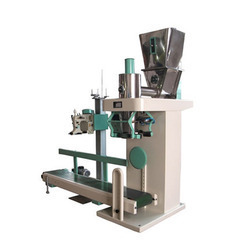 Gram Packing Machine is available in different shapes and sizes in accordance with customers' specific demands. This product is tested by quality inspectors to ensure a flawless product delivery at clients' end. Offered range is demanded by the clients around the country. 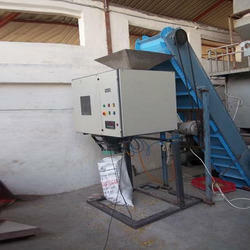 Machine pack all type rice,wheat,crop item,granules with auto weighing and dump in bag and than stitching. Only two labour require . 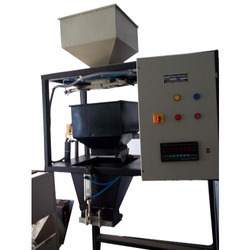 Being a client-centric organization, we are engaged in manufacturing, supplying and exporting a commendable range of Carbon Black Powder Packaging Machine. It is engineered by our professionals making use of premier-grade raw material. Our professionals ensure the offered product to be highly suitable for industrial applications. For this, they test it in different circumstances. 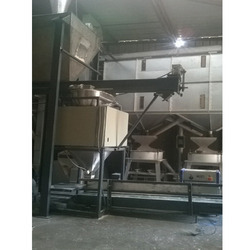 We have established ourselves as a leading organization engaged in manufacturing, supplying a remarkable array of Soya Doc Cake Filling Machine. With the help of our diligent professionals, we designed the offered machine with superior-grade components and raw material sourced from the well-established vendors of our domain. Owing to its longer service life, high capacity and quality in sync with the international standards, it is highly demanded in the market. Catering to the demands of our customers, we are engaged in manufacturing, supplying a wide range of Material Packaging Machine. We are committed to meet every single requirement of our clients and thus manufactured the offered product as per the demands. Superior-grade raw material and other basic components are utilized for manufacturing this product. It is highly suitable for industrial applications and proves highly valuable for our clients. Machine pack all type construction materials cement with sand , and mortar materials. Capacity and bag filling rate as per customer require.